Used in a closed loop system to control motor speed and power output, the RSC 2800 Series angle sensor measures the rotary position of floating rollers on the machine. A TLM Series of touchless linear position sensors measures the travel length of a cylinder. 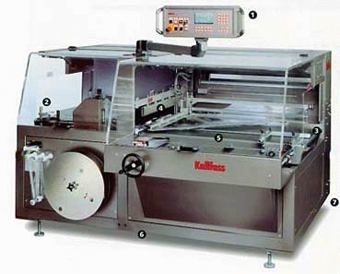 It is connected to a PLC for accurate positioning of the cutting blade. 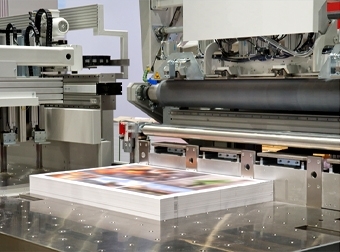 A gluing machine manufacturer needed a sensor for their rack and pinion type paper feeder, to obtain position information enabling automated adjustment of frame position for different types of paper. They wanted to replace an encoder with an absolute sensor that could measure multiple turns and had long life. Novotechnik’s RSM 2800 Series was a perfect match for the application. 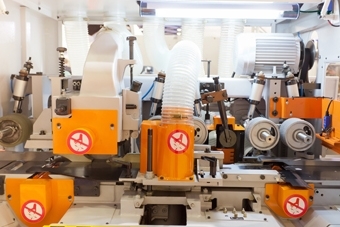 Our customer manufactures machines for wrapping products in foil. In order to hold the draw-off speed of the foil constant, a dancer stirrup which has an angle sensor mounted in its center of motion is used. A specially designed sensor potentiometer SP2841 in a special design with an anti-deformation socket, cable and M12 cable box is used. The sensor signal affects the frequency converter in such a way that the draw-off speed of the foil remains constant. Injection molding machines, all values relevant to the process of manufacturing thermoplastic and duroplastic items are measured and stored. The positions of various mechanical parts are measured, as well as pressure and temperature. The goal is to achieve a consistently high quality of molded items and a short preparation time during tool changes. Production in shifts, shorter cycle times and low tolerances of the molded items require a high reliability and precision from the employed position measurement system. This customer manufactures wire-enameling machines. Novotechnik's IP 6500 rotary potentiometer is mounted on a dancer arm. The dancer controls the speed of the main drive of the drawing machine as a function of the enameling equipment wire-speed. 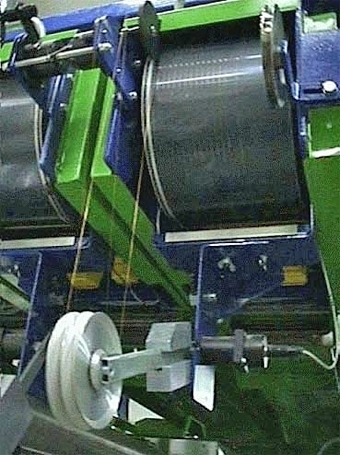 An increase of the diameter of the coil increases the wire speed. The slack in the wire to be coiled-up then becomes smaller. The IP 6500 detects this variation in the dancer arm position, and the speed of the wire coil is reduced accordingly. Thus the take-up speed of the wire is effectively monitored and regulated constantly. 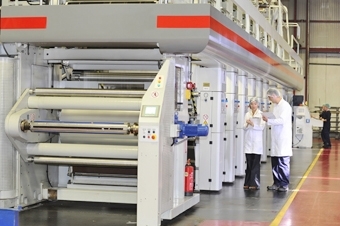 The main criteria for selecting our IP 6500 are long life and the protection degree IP65, because during the manufacturing process of wire-enameling our customer needs to monitor the operation constantly over a fairly small electrical angle.